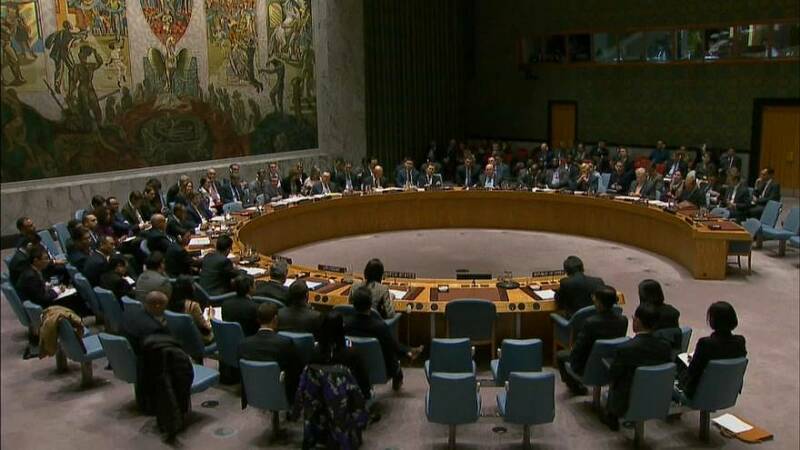 The United States has asked the UN Security Council to call on all nations to cut all ties with North Korea, severing diplomatic relations, enforce UN sanctions, and limit military, scientific, technical or commercial cooperation. The North's latest ballistic missile launch "brings us closer to war" said the US Ambassador to the UN. "We have never sought war with North Korea and still today we do not seek it. If war does come it will be because of continued acts of aggression like we witnessed yesterday. And if war comes, make no mistake, the North Korean regime will be utterly destroyed," said Nikki Haley. Other council members made a show of agreement, but there was an overriding dynamic to de-escalate, with calls for caution on both sides. Trump has promised immediate new sanctions, and these are on the Council's agenda, even if few appear to believe they will have much effect. "We strongly urge the DPRK to stop its missile and nuclear tests and we call on the United States and the Republic of Korea to refrain from their large scale and unplanned military maneuvers that are to start at the beginning of December. That will only enflame an already explosive situation," said Russia's UN Ambassador Vassily Nebenzia. North Korean leader Kim Jong Un knows his country is now close to being able to hit the US with a viable nuclear-armed missile, and that while the nuclear superpowers talk about him, he will soon be taking his nation into their exclusive club as an upstart member.